Happy New Years Eve everyone! I hope you have a lovely evening celebrating with friends,family or whether your just chilling at home! Ever since I cut my hair I have to style it everyday which pretty much guarantees that I straighten it. The Jade Hair Straightening Brush* has been a great addition to my daily routine. My hair isn't massively curly as it is naturally straight, although the ends to flick inwards which the Jade straightening brush sorts out immediately. I don't know how big of a difference it will make for those with incredibly curly hair, because I think the impact that the hair straighteners like GHD have is because it clamps the hair straight. For me yes I can admit it works at getting rid of those weird flicky ends, but I don't know whether or not it does really get hot enough to make that much of a difference. 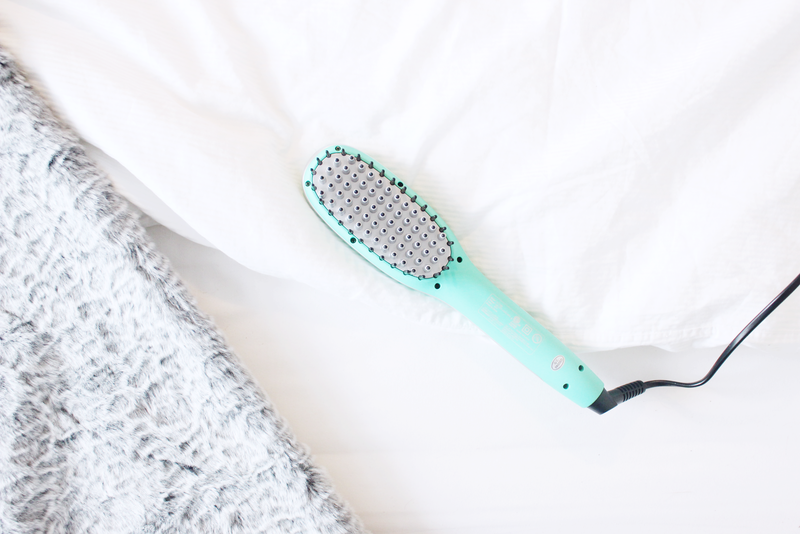 The brush claims numerous things on the packaging including; No Hair Damage, Anti-Scald Teeth (this I can vouch as I haven't managed to burn my head as of yet), Auto Shut Off (which is actually a great safety feature) and fast heat up. Personally I think my GHD's do heat up quicker than the brush but it doesn't take ages like some of the cheaper curlers/straighteners I've used. It comes with an American plug which is a downside, but you can easily buy an adapter from somewhere like Boots or Superdrug. The brush does come with universal voltage so it means you won't have issues with it burning out or breaking either the socket or the product itself. Although it is a hairbrush in a sense, I recommend you do brush your hair before using it as otherwise it won't easily straighten it and your hair will get tangled easily. 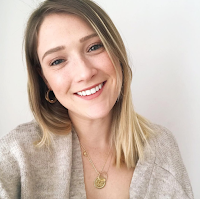 Let me know if you've ever used a hair straightening brush before in the comments below! Ive heard all about these my sister wanted one but i wasnt to sure how good it would be considering its a brush? I have an Irresistible Me straightener and I love it! My hair might be too curly for this brush but it would be nice on in-between days or if I'm just going to put my hair in a ponytail. My hair is so thick it takes two hairdressers to dry it haha I don't know if something like this would work but I do want to try it! I'd absolutely love to try this out, such a great idea rather than straightening your hair! 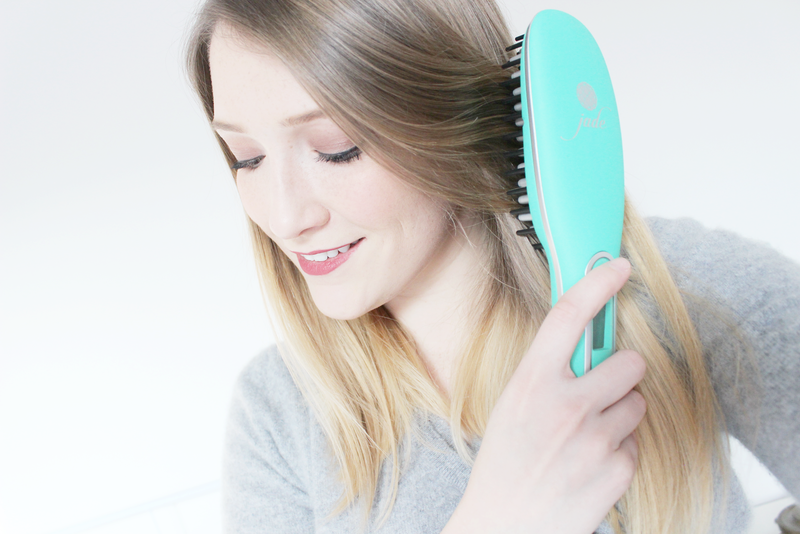 Straightening brush seems to be all the rage last year but I have yet to try one! My hair is almost straight so it's definitely something that I need to invest in so I can style my hair easily. I always see these, and want to try them! But I don't have the spare money to do so all the time. I want to know someone who has them so I can try it!